‘This horse is great value at those short odds’ is not a phrase you hear very often at all. However if racing pundits had a better grasp of the favourite/longshot bias then a saying like that might actually become more prevalent. That is because it has been proven over many years that as odds increase, returns decrease. Longshots are overbet, while favourites are underbet. 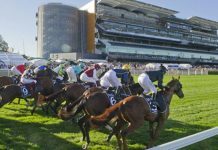 Many punters assume that horses hard in the market are unlikely to be good value, but that is an incorrect assumption because favourites are clearly the best betting propositions and have been for more than half a century. Psychologist Richard Griffith is credited with identifying the favourite-longshot bias, and published his findings in the American Journal of Psychology in 1949. Economist Jack Dowie studied almost 2800 UK horse races in 1973 and it showed that you would have made a profit by backing all horses that were well into the red. A study by Robert Henery looked at almost 900 races run in 1979 and 1980 and found that horses $1.40 and shorter lost just 2 cents in the dollar. 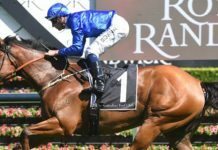 Punters backing longshots lost at five times that rate. A paper in the Scottish Journal of Political Economy provided evidence that the bias also existed in soccer. An analysis of UK bookmaker William Hill’s football betting odds from 2000 to 2007 showed that backing all favourites would have resulted in a 4% better return than backing all underdogs. If you had only backed teams at $1.50 or shorter you would have lost just 5% on turnover compared to 16% on underdogs. But enough of the overseas examples. Once again favourites were clearly the best performing segment of the market. Those tables show unequivocally that the favourite/longshot bias is alive and well. As a rule the greater the price, the greater the edge you have working against you. The fastest way to burn through your money as a punter is to focus on longshots. Profitability is perfectly correlated with price and favourites are the best performing segment of the market. The best returns you will get (as a group) are horses hard in the market. I am not suggesting you should only ever bet on short priced horses. Instead I am reinforcing that you should not assume that value lies only in bigger priced horses as many commentators would have you believe. 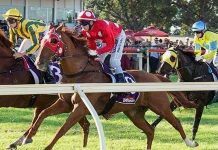 Rather than trying to snag longshot winners, you are likely to get better results by focusing on fancied runners and a sound money management plan.